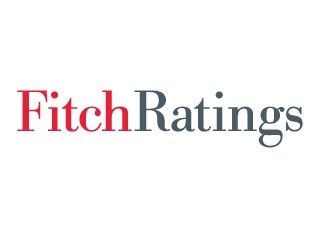 Singapore/Mumbai: Fitch Ratings expects SBI’s core capitalisation to improve in the financial year ending-March 2017 (FY17), from a core equity Tier 1 ratio of 10.3% at end-September 2016. SBI is likely to receive around USD835 million in new capital from the government shortly (of the total USD1.1 billion earmarked for FY17; around 5% of FY16 equity) and plans to raise an additional USD2.2 billion directly from the market, for which it has received shareholder approval. The bank’s NPL ratio of 7.1% at end-1HFY17 and stressed asset ratio of 9.6% have moderately picked up in 1HFY17, but remain considerably lower than those of other large state banks. Fitch Ratings has assigned State Bank of India’s (SBI, BBB-/Stable) USD500 million senior unsecured notes due January 2022 a final rating of ‘BBB-‘. This follows the completion of the securities issue and the receipt of final documents conforming to information previously received. The final rating is the same as the expected rating assigned on 16 January 2017. The notes constitute the issuer’s direct, unconditional, unsubordinated and unsecured obligations and rank pari passu among themselves and SBI’s all other unsubordinated and unsecured obligations. The notes were issued by SBI’s London branch with a tenor of five years.